'Worry will vanish' by Pipilotti Rist, 2014, shot by Alex Delfanne. Audio video installation, music by Anders Guggisberg. 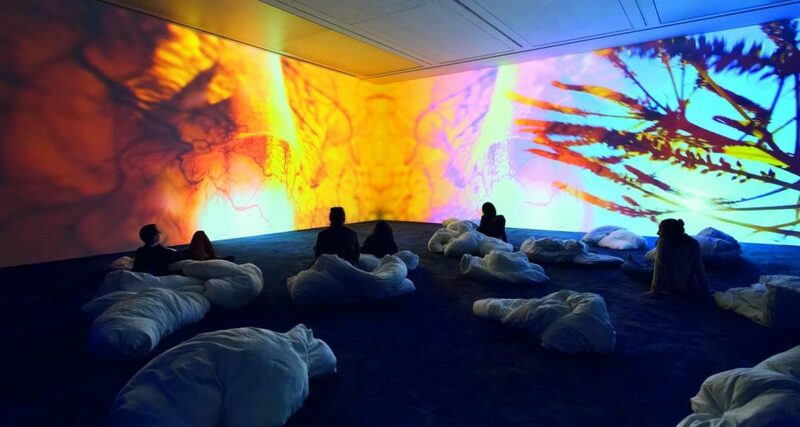 The ever amazing Pipilotti Rist is in town making us question the everyday givens that we hold to be truth but really aren’t… This immersive projection work, ‘Worry Will Vanish Revelation’ asks that you slow down, step inside the human body and dissolve your mind. The piece adopts the use of ‘autogenic training’ – a set of physical exercises in combination with repeated visualisations – developed in the 1930s by psychiatrist Johannes Heinrich Schultz.